A 2-minute walk from Tanjong Pagar MRT Station, Amara Singapore boasts a Balinese-style pool and spa. A fitness center and tennis courts are available. The hotel features 8 dining options. A 15-minute walk brings guests to Chinatown and local food street, Lau Pa Sat. Orchard Road shopping belt is a 15-minute train ride away. Amara's modern, air-conditioned rooms come with flat-screen cable TVs. Minibar and tea/coffee making facilities are provided. A safe and hairdryer is included. Guests of the hotel receive free parking privileges. A business center takes care of guests’ communication needs, while sightseeing arrangements can be made at the tour desk. Cafe Oriental and Silkroad serve local cuisine and traditional Chinese favorites while Japanese and Korean dishes can be sampled at Santaro and Hyangtogol respectively. A fine selection of wines can be enjoyed at Alphabet Bar. 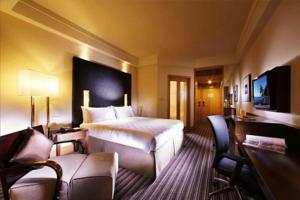 Wired internet is available in the hotel rooms and costs SGD 35.31 per 24 hours. Free! One child under 12 years stays free of charge when using existing beds. Free! One child under 2 years stays free of charge in a baby beds. One older child or adult is charged SGD 71 per person per night in an extra bed. The maximum number of extra beds/baby beds in a room is 1. Any type of extra bed or crib is upon request and needs to be confirmed by management. Supplements are not calculated automatically in the total costs and will have to be paid for separately when checking out.